Brokerdealer.com blog update profiles the recovery of the IPO market and the effects it had on Silicon Valley companies courtesy of Venture Beat’s Chris O’Brien. Although it was a great year for IPOs, it was not necessarily a good for brokerdealers, as O’Brien explains later on, returns on IPOs in 2014 took a dramatic drop compared to returns on IPOs in 2013. Nonetheless, a strong IPO showing is projected for 2015, which could create big returns for brokerdealers in the New Year. In addition, Silicon Valley has plenty to stress as about as there wasn’t a huge IPO growth made in tech industries, the surge of IPOs came from health and biotech fields. A tech industry that had spent years waiting for a revived IPO market finally got its wish in 2014. The overall IPO market reached a level not seen since 2000. And Silicon Valley companies rode that wave as venture-backed IPOs soared, according to year-end data from Renaissance Capital. Within these ample gold and silver linings, there are a few clouds looming for the tech industry as well. The 273 IPOs in 2014 was the most since 406 IPOs in 2000. IPOs were up 23 percent over 2013, even though there were some global scares like the Ukraine crisis and Ebola that in years past might have causes stock markets to freak out. Money raised climbed 55 percent to $85 billion, though Alibaba accounted for $22 billion of that. The number of venture-backed IPOs climbed to 124 this year, up from just seven in the dark economic year of 2008. A solid pipeline and strong US economy should mean another strong IPO showing in 2015. So, what’s there to worry about amid all this rosy news? 1. Returns were down: The boom in the number of IPOs was not necessarily great for investors. Average IPO returns were only 16 percent, a big drop from the 41 percent return on IPOs in 2013. That could put a chill on IPOs in 2015 if the trend continues. 2. Tech is not king: The surge in IPOs was led by healthcare and biotech IPOs. In particular, the overall numbers were padded by the 100 healthcare IPOs in 2014, a jump from 54 the year before. Slice off that healthcare increase, which mainly included a lot of small-cap companies, and the number of IPO offerings was about the same as 2013. 3. 2014 was very good, not great, for tech: There were 55 tech IPOs in 2014, up from 45 the year before. 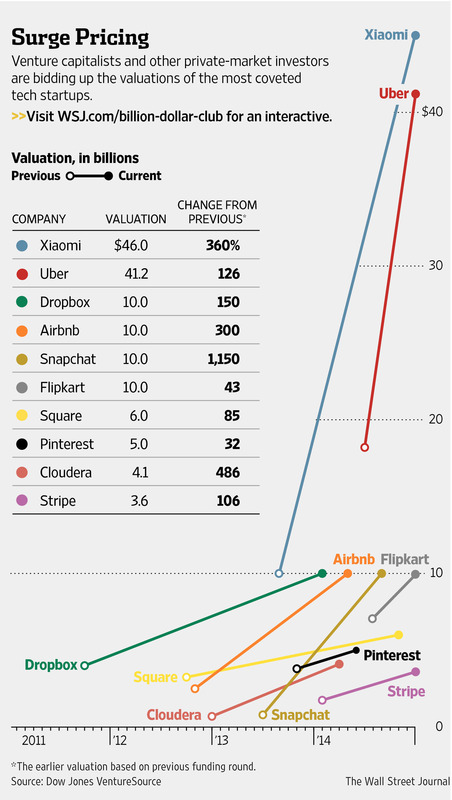 Those IPOs raised $32 billion, though that includes Alibaba’s $22 billion haul. Back that out, and you still have a nice increase from the $7.9 billion raised in 2013. But tech companies are hardly printing money. And talk of a bubble remains just plain silly. 4. China rules: This year will be remembered for the monster Alibaba IPO offering, followed by China’s JD.com offering that raised $1.8 billion. Those were the only two tech companies to make the list of the year’s 10 largest IPOs. And with China’s Internet population more than double that of the U.S., the center of the tech world could continue its shift to Asia. None of these things should dampen the tech industry’s celebration of a solid year. But they’re a good reminder that Silicon Valley shouldn’t get overconfident when it comes to IPOs and think just any company with a little momentum can go public. Investors can afford to be selective. And, really, that’s probably a good thing for all of us. Brokerdealer.com blog update courtesy of Mike Spector and Mark Maremont of the Wall Street Journal. For years, Private Equity firms have doubled-dipped by receiving management fees from their institutional investors, and at the same time, have pocketed hundreds of millions of separate fees from the companies they have acquired on behalf of those same institutional investors. For the first time, these firms are being pressured by investors, and in some cases, federal regulators to stop the practice of double dipping or face further scrutiny. The investment firms usually collect the fees from companies they buy for providing services such as consulting, serving as directors and helping them make their own acquisitions. Instead of keeping some of the money, the buyout firms, in new funds they are raising, will now pass the fees on in full to investors in the funds. The payouts being reimbursed, known in the industry as transaction and monitoring fees, have provided many private-equity firms with a steady income stream augmenting their share of investment gains on deals, which remain the key source of profits from their buyout funds. Private-equity firms buy companies using a combination of cash raised from investors and borrowed money with the aim of improving the companies’ value and selling for a profit a few years down the line. Buyout firms often receive transaction fees from a company after completing a takeover and for other deal activities, and monitoring fees for consulting and other work while holding the investment. The turnabout by managers including Blackstone Group LP, KKR & Co. and TPG represents a significant concession in the face of persistent clamor for the private-equity industry to do a better job sharing and disclosing their fees. The decision by private-equity firms to essentially reimburse investors with payments that can amount to tens of millions of dollars or more, sometimes on just one transaction, shows the increased influence wielded by investors such as public pension funds that historically accepted terms buyout firms proffered. For Spector and Maremont’s entire Wall Street Journal article, click here. Brokerdealer.com blog update courtesy of Forbes. Brokerdealers everywhere have rejoiced, Shake Shack, a newer chain restaurant, recently applied for an IPO and set to go public in 2015. Shake Shack is known for its fresh cut fires, 100% all beef burgers and hot dogs, and most of all its delicious shakes. The chain has been growing ever since its opening in New York City in 2000 and now has 63 locations open worldwide. Shake Shack, the New York-based burger chain created by famous restaurateur Danny Meyer, is set to go public in 2015, after filing for an IPO Monday. Restaurant concepts have proven a mixed bag in the market, as investors pore over growth prospects looking for chains that could prove as lucrative as Chipotle Mexican Grill CMG -1.73%, which has returned more than 1500% since being spun out of McDonald’s MCD -0.87% in 2006. IPOs from companies like Noodles & Co, Potbelly and Zoe’s Kitchen were greeted with immense demand, though both stocks have taken their share of hits since debuting. More recently, burger chain Habit Restaurants has surged more than 80% since its mid-November IPO. At a time when many legacy restaurant operators are struggling to find growth — McDonald’s certainly among them — younger chains with smaller footprints and more runway for expansion are proving attractive. Shake Shack reported $140 million in system-wide sales for its 2013 fiscal year, up from $81 million the prior year, with 56% of revenue from its domestic, company-owned locations. Total revenue, which only includes licensing revenue from non-owned locations, was $83.8 million in 2013, up 41% from the prior year. Net income declined to $3.5 million, from $4.4 million the year before, due to a sharp increase in expenses, largely attributable to higher food costs and costs associated with opening new locations. Growth is likely to come both abroad and at home. Aside from New York, with 15 locations, no U.S. state has more than four Shake Shacks. Bard also points to chicken chain Bojangles and Focus Brands, a franchiser of Cinnabon and Carvel, as potential names to watch for on the 2015 IPO market as investors continue to look for growth in the consumer space. The U.S. economy’s slow recovery and improved consumer spending is certainly a help to restaurants, but Shake Shack’s filing notes that the company’s initial expansion occurred in a far more difficult environment. “We’ve never believed that Shake Shack only thrives in a down economy, but growing from one to 15 Shacks smack dab in the heart of the recession told us that we also don’t need a robust economy to build our business,” Meyer and CEO Randy Garutti wrote in a letter to prospective shareholders. 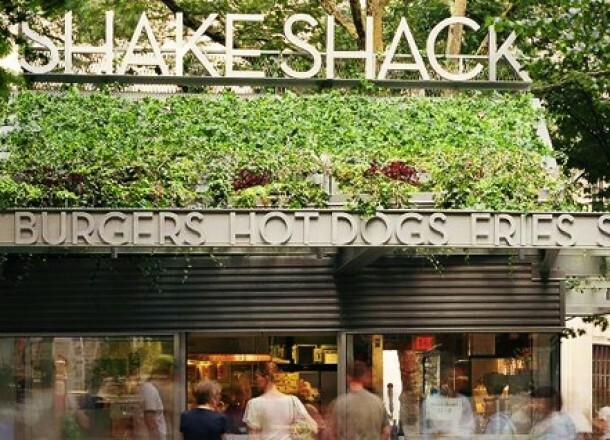 Meyer is listed among the shareholders who control at least 5% of Shake Shack’s shares, along with affiliates of private equity firm Leonard Green, Select Equity Group, Alliance Consumer Growth, and Jeff Flug, president of Union Square Hospitality Group, the parent company of Meyer’s other restaurant ventures, and a Shake Shack board member. The language in the Shake Shack filing also reveals the controlling hand Meyer will maintain at the company post-IPO. He and his affiliates will be entitled to nominate a certain number of directors — five as long as he maintains 50% of his post-offering holdings, and sliding down from there — and must grant approval for a variety of corporate actions, including a sale of the company, firing or hiring of a new CEO or a change in board size, so long as the group keeps 10% of its post-IPO shares. For the original Forbes article, click here. B rokerdealer.com blog update courtesy of Investment News. Brokerdealer.com works to provide people with a full and complete database of brokerdealers best suited for their needs. Unfortunately, some brokerdealers do not always follow the rules and this year many received hefty fines. 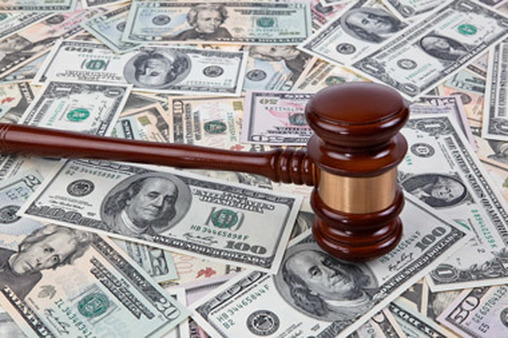 Investment News ranked the top 10 of the biggest fines handed down to brokerdealer firms this year, excluding penalties given to indivuals at the firms. Reason for Fine: Failing to commit the time, attention and resources to a range of critical obligations in its supervision of registered reps.
Firm Fined: Berthel Fisher & Co. Financial Services Inc.
Reason for Fine: Failure to supervise the sale of alternative investments such as non-traded REITs and leveraged and inverse ETFs. Reason for Fine: Supervisory deficiencies related to sales of nontraded REITs, oil and gas partnerships, business development companies, hedge funds, managed futures and other illiquid investments. Firm Fined: Stifel Nicolaus & Co. and its subsidiary, Century Securities Inc.
Reason for Fine: Selling leveraged and inverse ETFs to customers for whom the investments were unsuitable, as well as the firms not having proper training or written procedures in place to make sure their advisers had an “adequate and reasonable basis” for recommending the products. Reason for Fine: Paying approximately $100 million in commissions to approximately 780 unregistered, retired brokers without properly ensuring they were no longer soliciting or advising.